Last weekend I began putting together my menu for our family Thanksgiving feast. Planning the food that will grace our holiday table is a part of the process I relish. And in keeping with tradition, I like to combine beloved family favorite dishes with a few unexpected surprises. I enjoy introducing people to local artisan producers who are passionate about what they do! Sharing their unique products with friends, family, and readers is what makes my work as a writer truly meaningful. This year, I’ve chosen to showcase two stand-out locally made beverages at our celebration. One of my favorite discoveries is Devoto Orchard’s “Save The Gravenstein” hard cider, made from hand-crafted organic heirloom Gravenstein apples grown on the Devoto family farm in nearby Sebastopol, California (http://www.devotocider.com/). 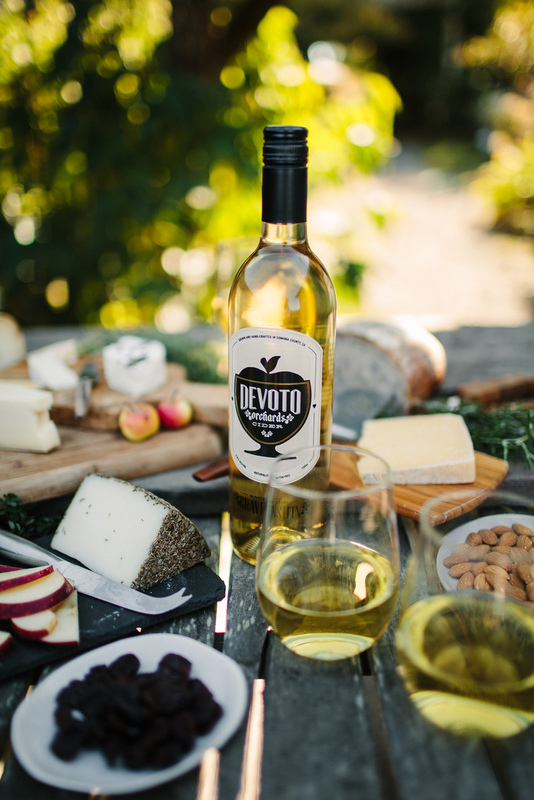 Husband and wife cidermakers Jolie Devoto and Hunter Wade transform their freshly picked apples into a delicious fermented beverage that comes in a beautiful wine-style bottle. *Photos © Devoto Orchards Cider by Kimberley Hasselbrink. 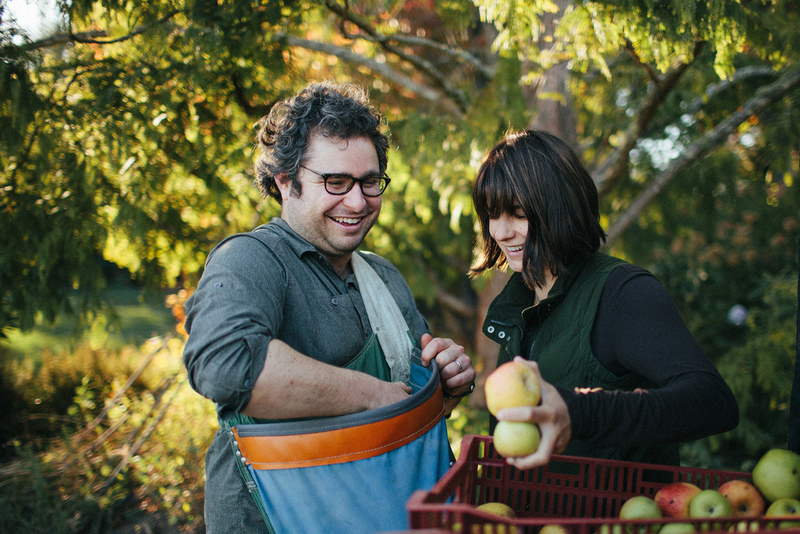 Jolie and Hunter carefully craft their small batch cider by grinding and pressing the apples, then blending and fermenting the juice in cool stainless steel barrels to preserve the finished drink’s dry, crisp, bright characteristics. The result is a sweet-tart, lightly sparkling beverage with hints of honeydew melon, lingering spice, and of course, apple. Served well-chilled in crystal wine goblets, this cider’s acidity will perfectly compliment the creamy, rich local cheeses I’m planning to serve as an appetizer course before Thanksgiving dinner. For the main course, I’m featuring another equally intriguing libation: mead. 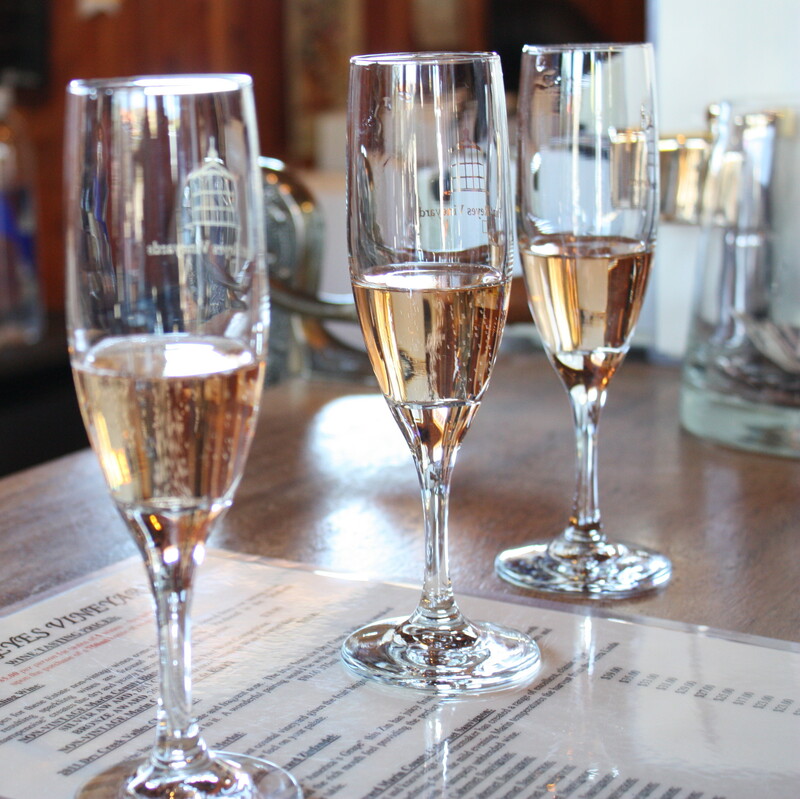 Mead is a sparkling wine made from fermented honey that was popular in ancient times. Under the skilled alchemy of North Bay mead maker Gordon Hull, the beverage is enjoying a renaissance in the local market place–and rightfully so. 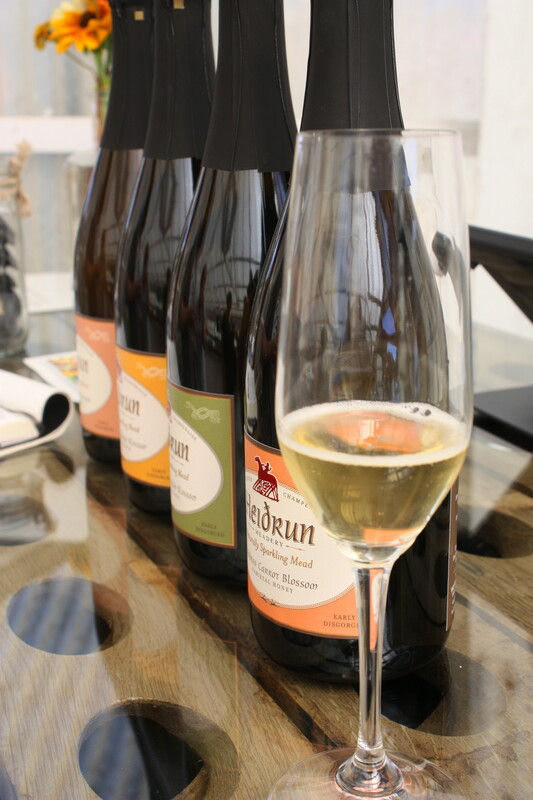 Gordon’s West Marin-based Heidrun Meadery (http://www.heidrunmeadery.com) puts an artful spin on this product by using a traditional French Methode Champenoise process that yields an elegant, dry, champagne-like beverage–accented with hints of floral essence distinctive to the honey varietal from which it is made. I plan to serve Heidrun’s Hawaiian Lehua Blossom Mead with our pasture-raised roast turkey entrée. Its light notes of rose and strawberry are sure to make the bird shine! 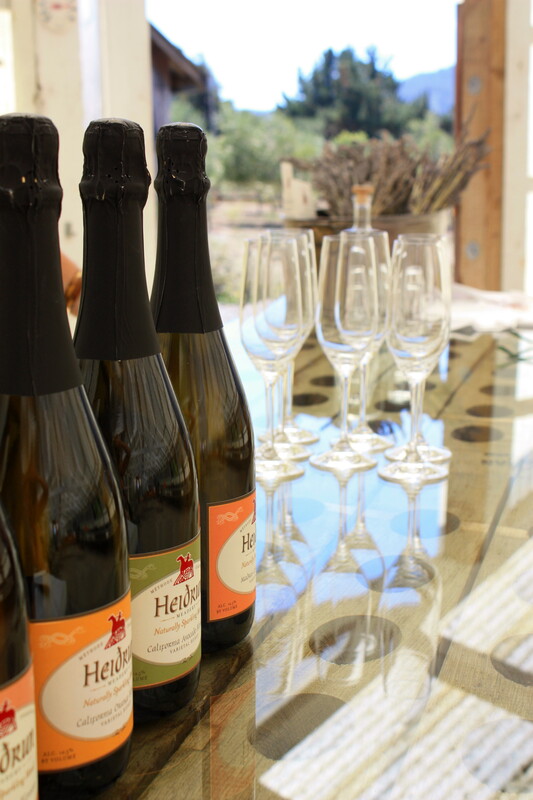 *Heidrun Meadery is hosting two holiday Open Houses with complimentary mead tasting flights on Saturday, November 23 and Saturday, December 7 from 11:00am to 4:00pm. When you raise your glass this Thanksgiving, consider toasting with these festive beverages. They are sure to impress your guests and lend a special touch to your holiday festivities. For more product information and retail locations visit their websites. Thanks Karen – one of these days. Thanks Angela :>) Both are fantastic examples of local artisan beverage at its best. If you get the chance, be sure to head out to one of Heidrun’s upcoming holiday Open House events where you can taste all their fantastic meads! Devoto Gardens Cider is available at their booth at the Sunday Civic Center Farmers’ Market in San Rafael. Beautiful post. I never thought to serve cider in this manner-great idea. I would love to oder from the Heidrun Meadery site, unfortunately, I live in a state that does not allow shipping. Their website is very interesting.